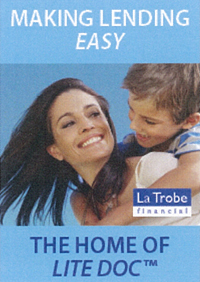 La Trobe Financial has been successfully lending on real estate finance - both residential and commercial securities - for over 60 years, always as a strong, independent credit specialist. We have in that time been able to assist in excess of 120,000 customers unable to obtain a loan or underserved by other institutions. This puts us in a unique position to know what it truly is that ensures unwavering, successful relevance over many business cycles and eras for a business specialising in real estate finance. 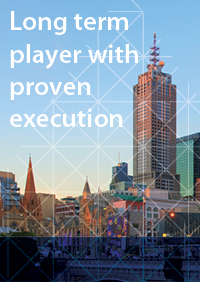 For an organisation that isn’t a major bank, has market scale and position - having lent in excess of $10 Billion - and continues to originate close to $50 million in loans per week, we know how to serve brokers' needs quickly. 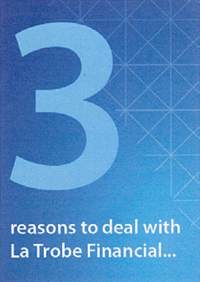 What keeps our broker customers coming back? Interestingly brokers have rated us higher on our staff conduct and service levels than any other peer lender. This is why we believe that as a credit specialist (lender) assisting credit advisers (brokers) our joint businesses are about PEOPLE. 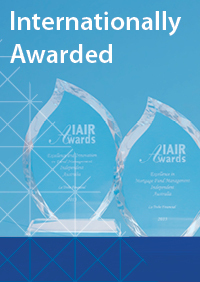 We are determined to give Brokers the best commercial solution for all enquiries. Whilst on one level we’re not unique in this approach, we know that no other credit specialist lender has our inheritance of 60 years’ experience cementing our commitment to people first service. This is becoming a truly defining consistent difference. 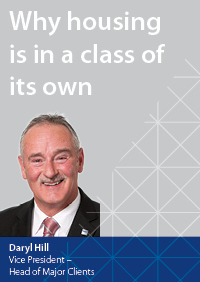 With this in mind, this week we’re delighted to profile our Asset Origination Team staff champions. These are our ‘front line’ staff that lead our most important external relationships: servicing our Brokers and those who have the experience and know how to approve your next loan. For all of our Asset Origination & Credit Approval Team staff their core mandate is to provide fast approval solutions to meet Brokers’ needs and create a clear path to settlement. And to provide this high quality and friendly service level we only employ staff who really want to make it happen for you with solid credit background and loan underwriting experience, and then support them in the field with experienced BDMs. 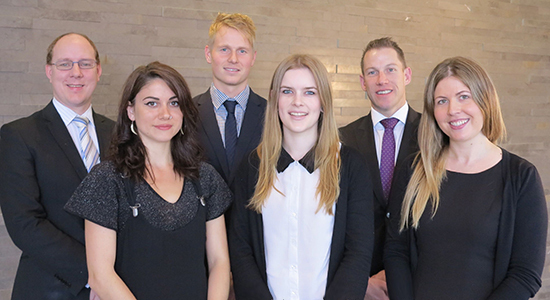 You will recognise many of the staff below from your dealings with La Trobe Financial over the years and we trust that you all enjoy putting a face to the name, learning a bit about our teams, individual roles and about our team members personally. You will see we have some new team members and hope that you will enjoy getting to know them in the near future. 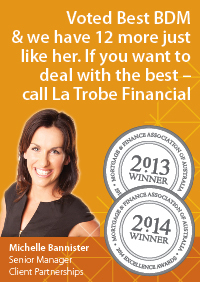 Our team is also currently growing further to meet the strong support we’ve experienced in the market in the last six months and so you may also meet some new team members shortly and we trust you will welcome them to your relationship with La Trobe Financial. Our Sales Team is essentially a credit specialist ‘high turn-around speed’ enquiry team, that receives residential and general commercial proposals when first lodged or sounded out by a phone call. The Sales Team will work directly with Brokers and our Senior Managers Client Partnerships (SCMP or BDMs), to make sure every deal gets the best solution possible, identified in the shortest period. The Sales Team’s objective is to confirm receipt of the proposal to the Broker within one day and issue an Indicative Offer within two days. Our Sales Team comprises experienced Credit Analysts (CA), well placed to evaluate deals and matched equally with Credit Administration Officers (CAO) who commence the requisite assessment and approval processes. Typically our Credit Analysts are career lenders who have come through our Credit Teams. These professional staff understand how to optimise our solutions based lending and high service culture, and to work effectively and enjoyably at the front line with our brokers setting up the deals. Our Credit Administration Officers focus exclusively on setting up the documentation and processing of the file. When you call our Broker Help line on 1800 707 707 to discuss a deal, it is a person from this Sales Team that you will be talking to. And so, over the years we expect many of you will have spoken to them frequently. And we are presently in the process of adding one more CA and CAO combination to the Sales Team to meet future demand. 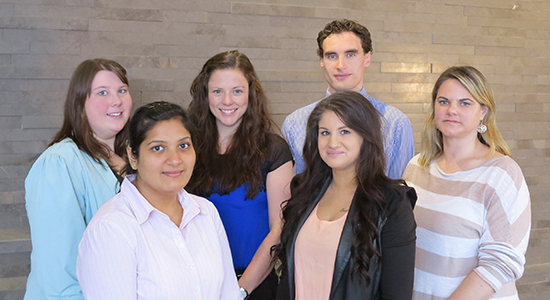 The Sales Team includes, from left to right above, Luke Jones (CA), Charlotte Berry (CAO), Chris Thornton (CA), Cara Wain (CAO), Cory Bannister (Executive), Lara Williams (CAO) and Bianca Williams (CA) (absent). This Team takes all long term Residential deals from the point a broker accepts the Indicative Offer and completes the formal credit assessment through to issuing the Letter of Offer. The Team’s objective is to issue the formal Letter of Offer within two days of receiving the valuation and any required supporting documents (a benchmark we’re delighted to report that we overwhelmingly meet) and to keep the Broker informed of key deal status along the way. Our Credit Analysts are all very experienced, typically senior analysts and junior management profiles having years of residential lending experience and training, with La Trobe Financial and bank and non-bank lenders. 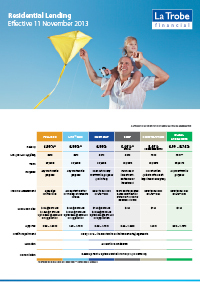 These CAs specialise in preparing, recommending and approving deals in a no-nonsense, practical manner and keeping Brokers informed of where their deals are at. 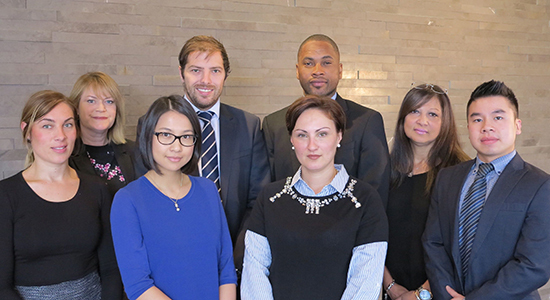 The “Resi” Credit Analysts Team includes, from left to right above, Linda Gorski (Manager), Samantha Rogers (CA), Karena Liang (CA), Ryan Harkness (Executive), Roxana Gheorghiu (CA), Gerald Edwards (CA), Lucille Allen (CA), and Daniel Sudjaya (CA). Ryan Harkness recently tried his own age defying comeback in football, only to find a few years of lending in London somewhat unhelpful in terms of a return to glory... even in veterans! Ryan is presently weighing up the choice between graceful retirement and pain. Roxana Gheorghiu is a proud supporter of the Romanian Gymnastics team who recently became European Champions. Lucille Allen 69 Mills & Boon books in 8 months... Say no more. Our Fund Team assesses and approves all commercial deals from the point a broker accepts the Indicative Offer through to formal approval. For construction deals they look after the deal from enquiry stage through to approval. For construction loans the Team also manages the Progress Payments function. The Team’s objective is to issue the formal Letter of Offer within 2 days of receiving the valuation and all supporting documents. And again it’s a benchmark we overwhelmingly meet. The Fund Credit Analyst Team is a group of highly experienced senior lenders, able to readily and sensibly assess complex deals on a prompt basis. This Team has been building an impressively successful business across small to medium commercial assets and high quality construction assets in recent years and has shown deep skills in executing its mandate and supporting clients. Steve Lawrence ‘some time ago’ played first class district cricket in England including opening the bowling with John Snow (rated Ian Chappel’s nastiest bowler to face in the modern era) and holds a perfect record of bowling out Dav Whatmore every time they faced off. These days Steve graces Australia as a first class MAMIL (middle aged man in lycra)! Garry Skelton assures us he beats our irrepressible East Londoner, having played for VIC Country against both New Zealand and Queensland Sheffield Shield team, in the 1980s no less when cricketers were hard men. He even opened the batting against Malcom Marshall in a tour match and lived to bat on today – still making memories. Not to be outdone, in any way... Kelly Tierney was a contestant on Millionaire Hot Seat in 2010 and won $1,000! Kelly is currently eyeing off Million Dollar Minute! The Team that completes the deal and makes sure the funding happens. Our Settlements Team takes the loan from Accepted Letter of Offer and takes it through completion of any conditions outstanding, legal documentation and booking the loan in for settlement. The Team is led by Leanne Seymour one of our most experienced Managers. 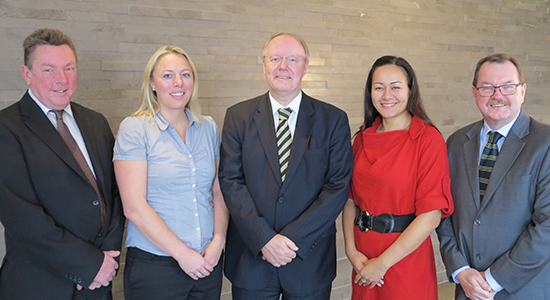 Our Loan Closure Unit Officers excel in their personal commitment to achieving deadlines. The Team’s objective is to complete every step required of La Trobe Financial to ensure that your loan settles on the booked date. 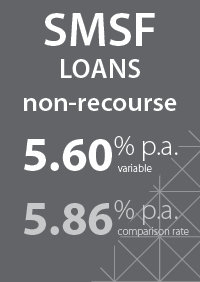 The Team also benefits from innovative software “Loan Closer”. 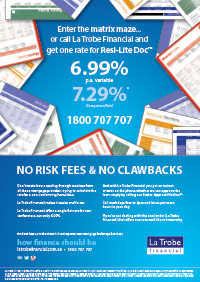 This is a real time, online web interface bringing together La Trobe Financial, Solicitors and Brokers to facilitate the settlement process from Letter of Offer onwards. This software provides next generation, user friendly functionality that dramatically reduces waiting times and increases broker information. 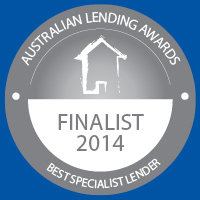 We believe Loan Closer sets a new industry benchmark in efficiency of settlement. Leanne Seymour developing advancing Imelda syndrome, Leanne has accumulated 300 pairs of shoes... She also runs half marathons, one of which recently was sufficiently impressive to result in a marriage proposal! Jeremy Daniell a Heavy Metal lover who has seen over 100 concerts around Australia. Kirsty Harwood when she’s not pushing our deals through Kirsty is pushing clients as a Personal Trainer. We hope you enjoy dealing with our Asset Origination & Credit Approval Team even more now that you can put a face to the names and perhaps know a little more about our people. 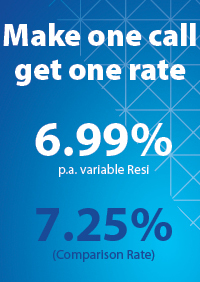 Rest assured, 60 years of lending has taught us that one thing no one and nothing can stop us being the best at, is dedicating our people to a service culture determined to give Brokers their best commercial solution.